A photographer's exploration of New York City in the years following World War II. A City Seen: Todd Webb’s Postwar New York, 1945-1960 examines New York through the eyes—and lens—of photographer Todd Webb. Featuring more than 100 images, accompanied by entries from Webb’s own journal, the exhibition highlights Todd Webb’s personal exploration of the city that enthralled him while providing an expansive document of New York in the years following World War II. As a newly discharged Navy veteran, Webb (1905-2000) moved to New York in 1945 to dedicate a year to photographing the city. Armed with a large format camera and tripod, he worked relentlessly and the year turned into several decades. Webb’s images captured the city’s contrasts—from Midtown’s skyscrapers to the Lower East Side’s tenements, from high-powered businessmen in the Financial District to the remnants of old ethnic enclaves in Lower Manhattan. A City Seen includes his investigations of these neighborhoods, as well as Harlem near 125th Street and Third Avenue Elevated, which would be decommissioned in the 1950s. Also featured are portraits by Webb of members of his intimate circle of friends, including Alfred Stieglitz, Harry Callahan, Berenice Abbott, Helen Levitt, and Lisette Model. This is the first major museum exhibition of Webb’s work since the Museum of the City of New York first exhibited his early images in 1946. If you are interested in hosting the exhibition at your museum, or to reserve a slot on a tour, please contact us at travelingexhibitions@mcny.org or 917.492.3472. 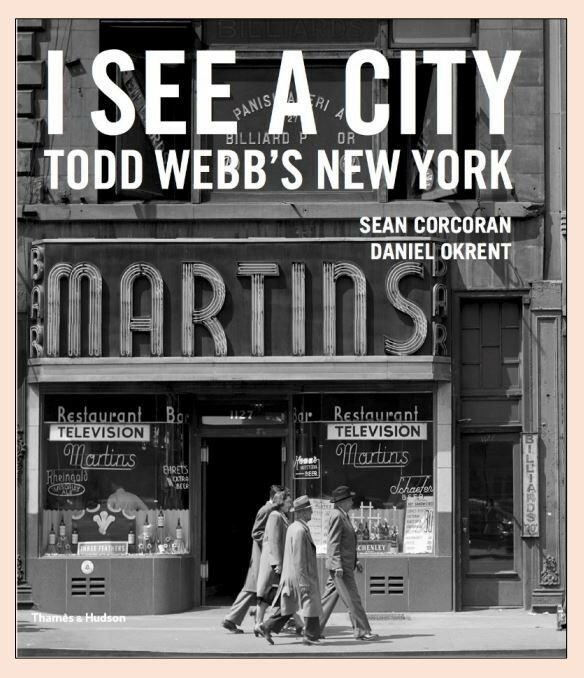 I See a City: Todd Webb’s New York is now available! Elizabeth Evans Hunt, the Roy A. Hunt Foundation, The Robert Mapplethorpe Foundation, William and Victoria Cherry, and The Charles Edlin Family Charitable Foundation Trust. Special thanks to the Todd Webb Archive.